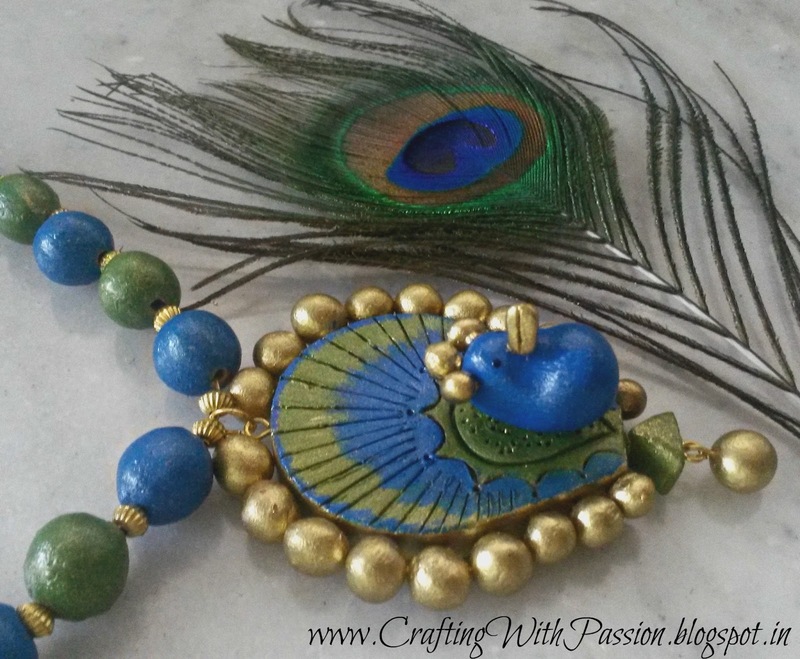 Crafting With Passion: Terracotta Jewelry - Peacock!!! Wish u all a very happy New year 2016!!!!! Hope this year turns out to be an exciting crafty one. Well my last few posts have been anything but paper crafts and so is this one gonna be. 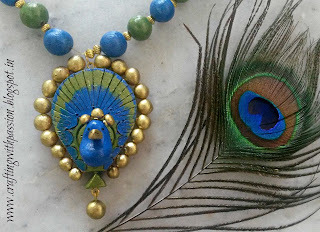 Recently i had attended a Terracotta class and it was soo interesting to create our own specific designs in jewelry. Loved the outcome of this. 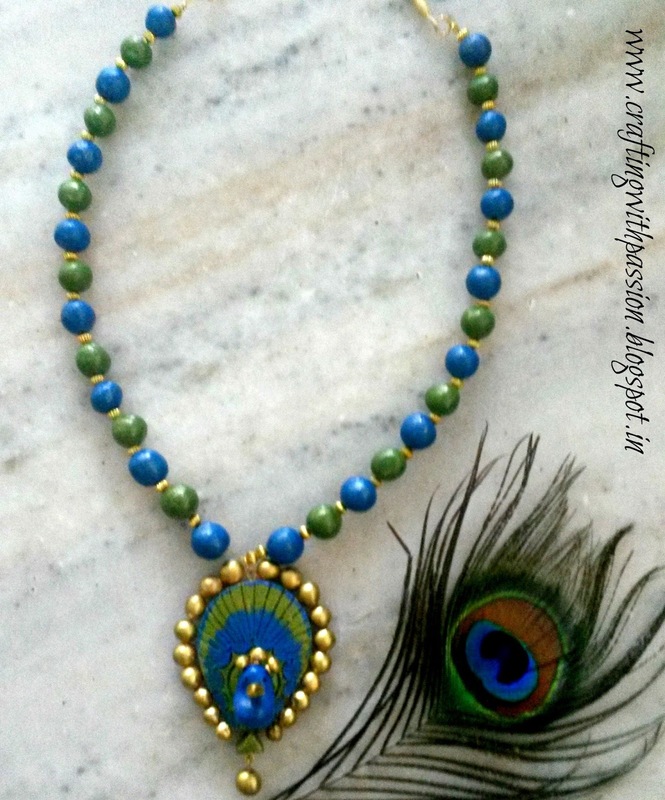 Though i never wear such heavy or big jewelry, jus loved doing the paint job and the assembling (ofcourse these are the easier work). The more tedious job is the rolling of clay and shaping it. Am not yet an expert at this. So no tutorials or instructions as of now. Hoping to do few more designs wenever possible. Hope you liked this. Wishing you all a colourful New Year!!! Aww..that peacock is so cute..loved the whole set with such pretty colors !! Happy New year Dear !! Photo Frame for set of Twin Boys! !